How Does a Mastermind Group Help Your Business Succeed? 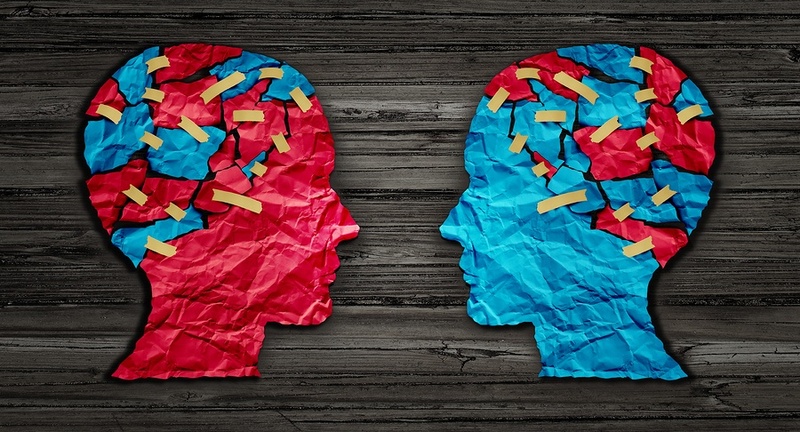 You’ve heard the saying “great minds think alike,” but as a business owner, the solutions to problems that are holding you back are more likely to come from someone who thinks differently than you do. This is why mastermind groups (also known as peer-to-peer mentoring) are such an effective tool to overcome problems in your business. While the term “mastermind group” has become a trendy business buzzword in recent years, the concept of forming business owner mastermind groups to solve problems is as old as tribal history itself. It’s widely accepted that the “modern” definition of a mastermind group began with author Napoleon Hill and the release of his Andrew Carnegie-sanctioned correspondence course, The Law of Success in 1928. Dr. Hill interviewed over 100 of America’s most innovative leaders, including Thomas Edison, Alexander Graham Bell, Henry Ford, John D. Rockefeller and J. P. Morgan, to discover their secrets for success. One key finding of Hill’s research is the phenomena of a mastermind group consciousness or "a mind that is developed through the harmonious cooperation of two or more people who ally themselves for the purpose of accomplishing any given task." When asked how the mastermind group concept is superior to the problem-solving process of an individual, Dr. Hill expounds, “No two minds ever come together without thereby creating a third, invisible intangible force, which may be likened to a third mind [the mastermind]." So when it comes to forming a focused business owner mastermind group or “think tank” for the purpose of helping owners broaden their decision making perspective, two heads are, indeed, better than one - and naturally boards of multiple business owners will increase the effectiveness of each of the members. You might be asking yourself how business theories from nearly a century ago are relevant to the dilemmas you face as a business owner in the modern era. The truth is, the same mastermind group techniques that helped America’s early industrial entrepreneurs brainstorm their empire-building strategies are just as effective today. While you may be surrounded by a devoted staff, financial and legal consultants, or perhaps even a trusted business partner, there are times where straight-shooting advice from unbiased experts who’ve walked in your shoes will cut to the heart of your issue faster. In two of the TAB articles that preceded this one, we discussed understanding the value of peer boards as well as how to incorporate lateral thinking to stimulate creativity. If you’re a veteran business owner you might already appreciate the value of a peer-to-peer mastermind group. If you’re new to the entrepreneurial game, you should know that finding creative solutions to business problems could determine whether your private business is one of the 20% that survive or the 80% that “crash and burn” within the first 18 months. What’s different about the advice you’ll receive in a facilitated business owner advisory board is that the people offering their professional opinions to you have no bias or agenda other than helping you work through your issues. Often the advice you receive from your staff, family or even hired consultants will be colored by their relationship to you. A properly organized business owner advisory board will be made up of fellow business owners and CEOs who are not in competition with your company and do not have a financial or emotional stake in your future. This creates a pure system of helpful peer coaching that based in reason and experience - and not tainted by the desire for potential favoritism or fear of punishment. Members inspire and encourage one another in an open (but confidential) forum without threat or fear of reprisal. In other words, in the sanctuary of the group you can open up about real-life problems that are hurting your business without worrying that a competitor will exploit your weakness or that an employee will fear for their future. Because the issues are discussed in a confidential setting, you will benefit from the experience and creativity of your peers who aren’t limited by the same biases as your staff or inner circle of friends. Group mind works differently than the thought process of a single entrepreneur -- no matter how smart he/she is. The synergy that Napoleon Hill wrote about is easier to understand when experienced than it is to describe. But regardless of the special power a collective mind creates, the shear diversity of backgrounds and experiences an organized think tank brings to the brainstorming sessions is enough to open completely new thought processes. The lateral thinking that is so effective in helping you tackle your own problems is multiplied by the number of professional peer advisors who are sharing their experience and perspective with you. It’s likely that one or more members of your mastermind group have already experienced and overcome the obstacles you’re currently facing. Although each business is unique, more often than not, the problems that they face are common. The direct coaching from someone who’s already worked through a similar problem saves valuable time and stress. Meeting regularly means you better be ready to follow up on the promises you made at the last meeting. It comes as a surprise to some that fiercely independent entrepreneurs—who often get into business because they want to be their own boss—are also extremely grateful to have peers hold them accountable for the goals they set in the mastermind group setting. Some business owners find that after they become the boss, there are few within their organization who will challenge them. This can lead to complacency. But with the support of an organized business owner advisory board, each member is responsible to live up to the level of excellence set by the facilitator and the fellow members. No board member wants to be the one that shows up to a meeting of their peers unprepared. In fact, a savvy group will know when to jettison a habitually underachieving member from the mastermind group. This small bit of peer pressure is part of what leads to such remarkable improvement in the performance of most board members. Your ability to successfully work with a mastermind group will strengthen your leadership skills. It may sound strange that a business owner’s leadership skills are so closely tied to how well they perform as part of a mastermind group. But the lessons a business leader learns in these valuable, regularly scheduled meetings are, in essence, a form of leadership training. So it becomes apparent that the benefits business owner advisory board members enjoy also help them become more efficient leaders. The expert advice and outside the box business solutions offered by trusted peers who will hold their fellow members feet to the fire helps the business owner set visions and accomplish goals. These two things are what define superior leadership in the minds of most private business owners. 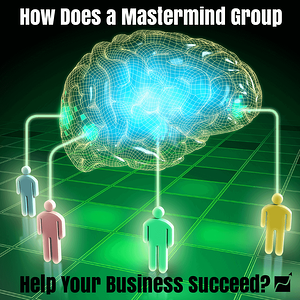 In addition to receiving advice, each member of the mastermind group is also expected to help their fellow group members solve problems. Taking on the role of a trusted peer advisor strengthens the leadership and coaching skills of every board member. This new skill set is a beneficial byproduct of the think tank process which each member can bring back to their own respective company. 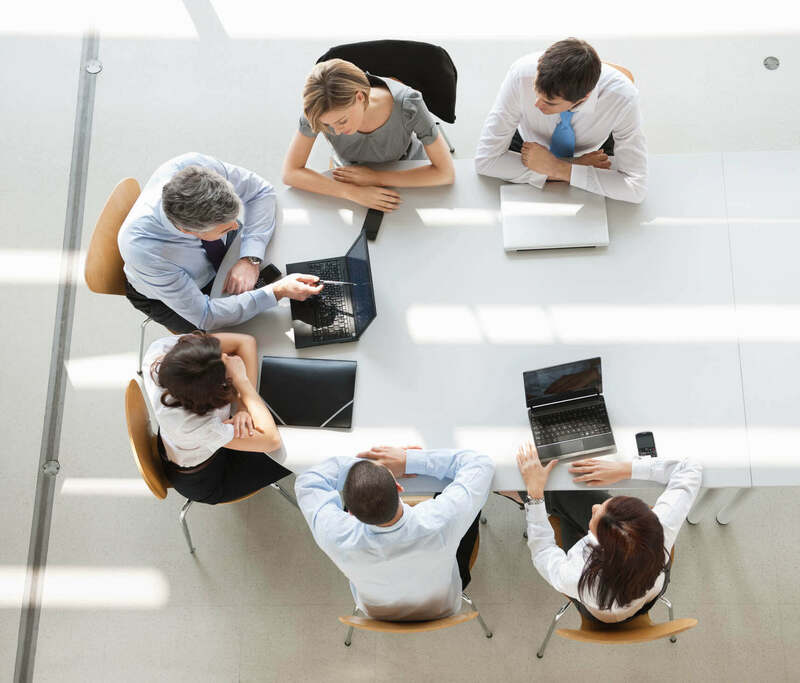 While the professional benefits of business owner advisory boards have been discussed at length, it’s worth noting that most members also enjoy the social aspect of the meetings. Many business owners are too busy to have much of a social life outside of their work and family. Being part of a mastermind group not only benefits the business by brainstorming solutions, it offers busy CEOs a chance to be social with others of like mind. It can be lonely at the top, and business owner advisory boards offer that additional perk of being a support group for business leaders. Traditionally, C-suite executives and business owners feel more comfortable around people that share their passion and understand the unique challenges of being an entrepreneur. Networking is not the focus of these group meetings, but members have been known to benefit in secondary ways such as finding partners for new ventures, exchanging leads and possibly sending additional business to one another through mutually beneficial alliances. Now that you have a better understanding of how a business owner mastermind group can help you gain a competitive advantage in your industry, you might be wondering how to find the one that’s right for you. Since you’ll be sharing sensitive, personal information vital to the future of your company one major concern you should have is the reliability and reputation of the organization you join. Beware of fly-by-night groups that may just be trying to capitalize on the recent popularity of peer-to-peer network groups. The Alternative Board (TAB) was formed in 1990 by best-selling business author Allen Fishman who was the president and co-owner of a consumer electronics chain, which after attaining great success became a NASDAQ-traded public entity. TAB not only pioneered many of the techniques other business owner advisory boards use today, but has perfected a system of unique proprietary business tools that have helped over 15,000 business owners around the world achieve greater success. The certified executive business coaches who facilitate TAB board meetings are among the most successful business advisors in the world. What makes The Alternative Board’s system unique is a combination of facilitated peer advice sessions as well as private one-on-one consultations between each business owner and their TAB advisor. This additional coaching strengthens the individual plans outlined in the mastermind group setting.